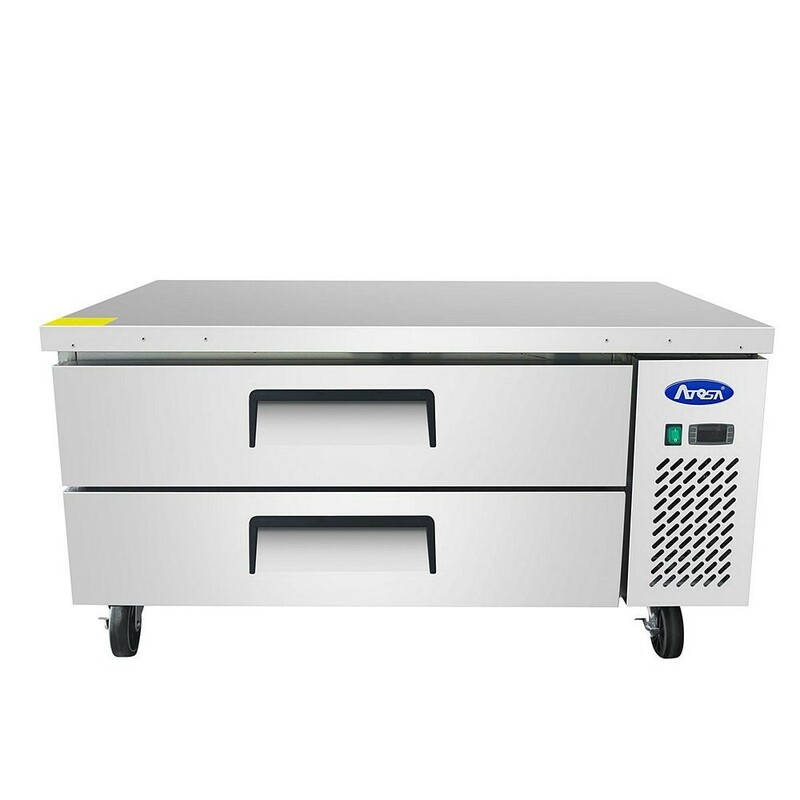 Keep your refrigerated ingredients close at hand with the Atosa MGF8450 48" Refrigerated Chef Base. Built with 2 drawers, this chef base allows you to keep cold ingredients accessible and ready for use. In addition, it has magnetic door gaskets that provide a tight seal to prevent temperature loss and can be removed for easy cleaning. Manufactured with a stainless steel interior and exterior, this chef base is exceptionally durable and will not get dented or rusted over time. Built with a factory-balanced refrigeration system, it maintains excellent temperature consistency and its Embraco compressor works efficiently to conserve energy. As an added bonus, its gravity fed doors close automatically for easy unloading. This base is a great way for your kitchen staff to avoid trips back and forth from the refrigerator to retrieve frequently used ingredients. 48-2/5" x 32-1/10" x 26-3/5"
Q: Does the unit come assembled or assembly required. A: This refigerated chef base ships assembled and is eligible for free shipping.